Merchant calls 1-800# for authorizations on touch tone phone. Transactions are captured each time they are approved. Daily total transactions are directly deposited into merchant account within 72 hours. No need to bring in sales slips. *Merchant is required to open a savings and checking account for all merchant programs. 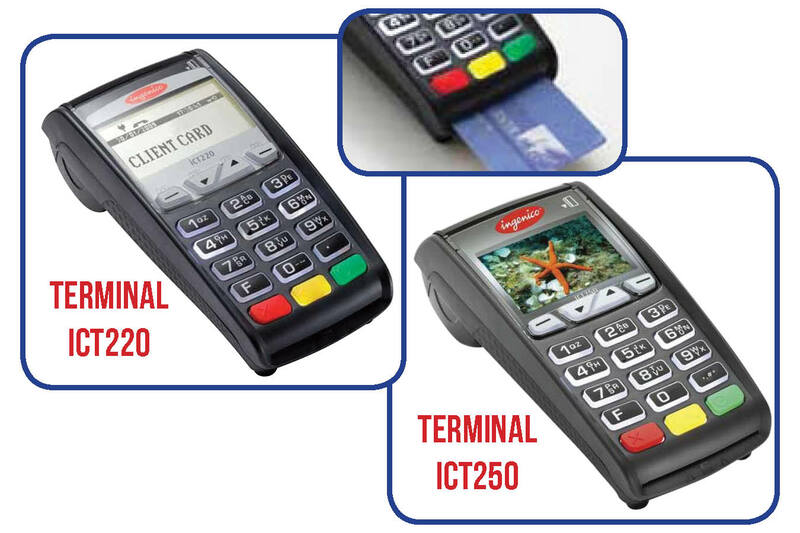 With this program, the customer’s credit or debit card is inserted into the terminal (or swiped if customer does not have a card with the EMV chip) and then captured once the authorization is received. The terminal holds the authorized transactions and batches them at the end of the day. The merchant will receive direct deposit into their account within 72 hours. A dedicated phone line is required for this terminal. 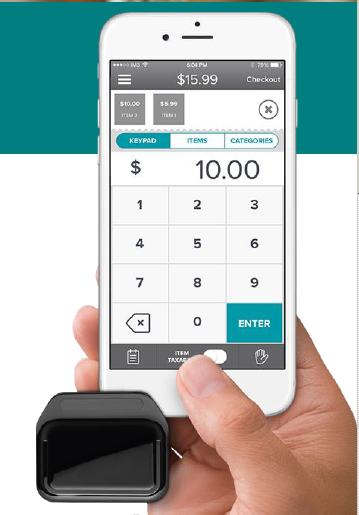 With this program, the KineticPay reader is either plugged in or linked via Bluetooth to a smart phone or a tablet. The customer’s credit or debit card is swiped through the KineticPay reader; card capture and authorization are received instantaneously. The customer signs for the purchase electronically on either the tablet or smartphone – no need for sales slips. The merchant can design customized receipts that can be emailed to the customer when the transaction is completed. The KineticPay reader holds the authorized transactions and batches them at the end of the day. The merchant will receive direct deposit into their account within 72 hours. **The make and model # of the smartphone or tablet that will be used with this device is required.